The 1981 NBA Playoffs was the postseason tournament which followed National Basketball Association’s 1980 – 1981 season. The tournament concluded with the Eastern Conference champion Boston Celtics defeating the Western Conference champion Houston Rockets 4 games to 2 in the NBA Finals. Cedric Maxwell was named NBA Finals MVP. The 1984 NBA Playoffs was the postseason tournament of the National Basketball Association’s 1983 – 1984 season. The tournament concluded with the Eastern Conference champion Boston Celtics defeating the Western Conference champion Los Angeles Lakers 4 games to 3 in the NBA Finals. Larry Bird was named NBA Finals MVP. The 1986 NBA Playoffs was the postseason tournament of the National Basketball Association’s 1985 – 1986 season. The tournament concluded with the Eastern Conference champion Boston Celtics defeating the Western Conference champion Houston Rockets 4 games to 2 in the NBA Finals. 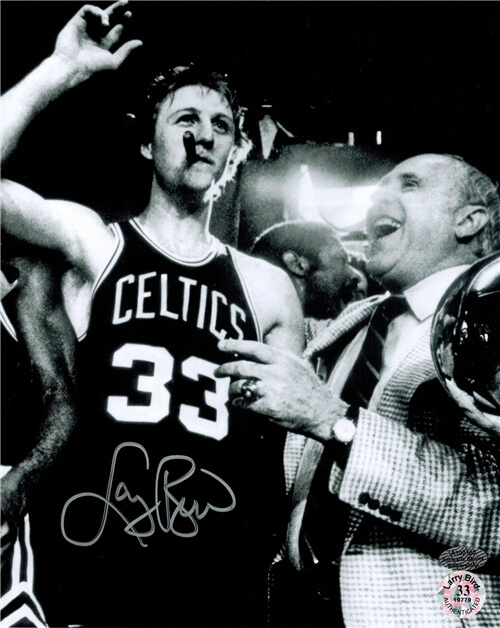 Larry Bird was named NBA Finals MVP for the second time.